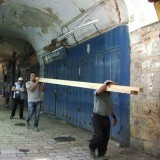 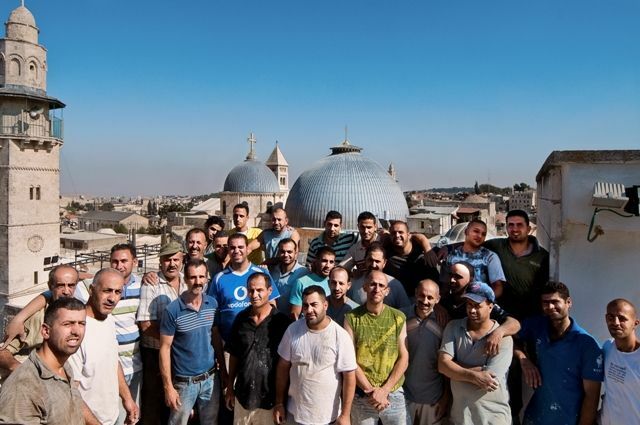 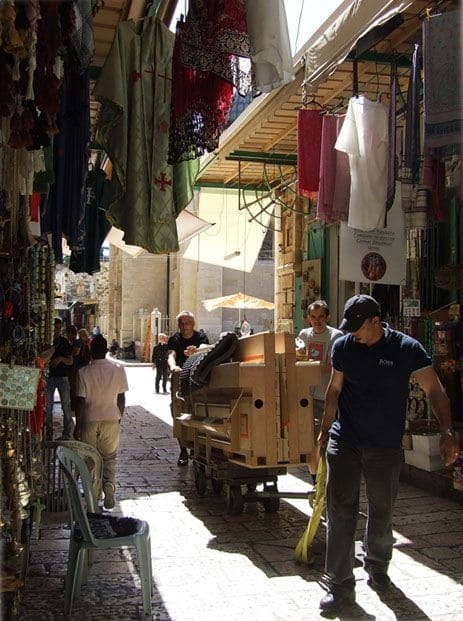 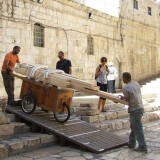 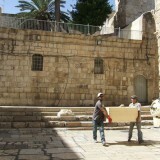 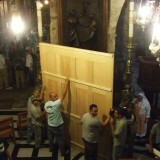 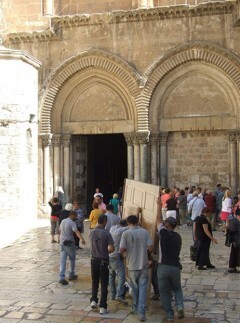 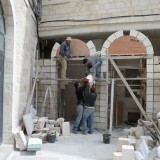 home / Multimedia / The Holy Land in news / New work for the team of workers in the Old City of Jerusalem: .. 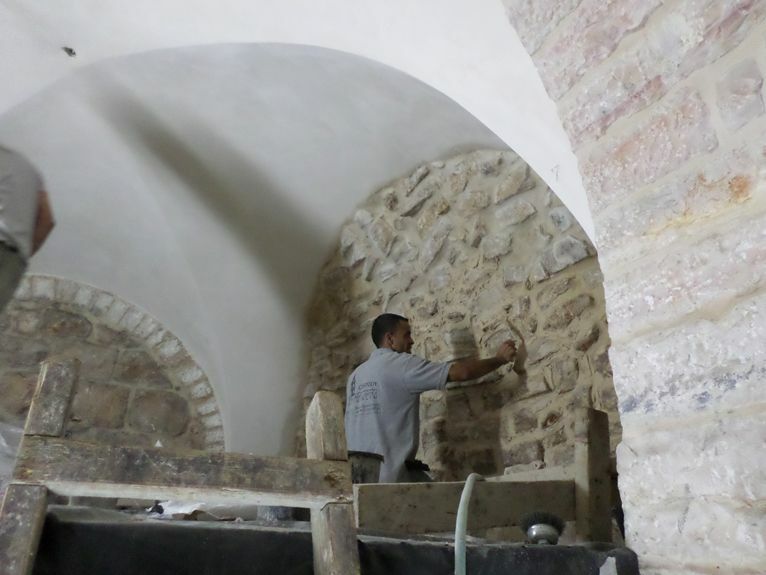 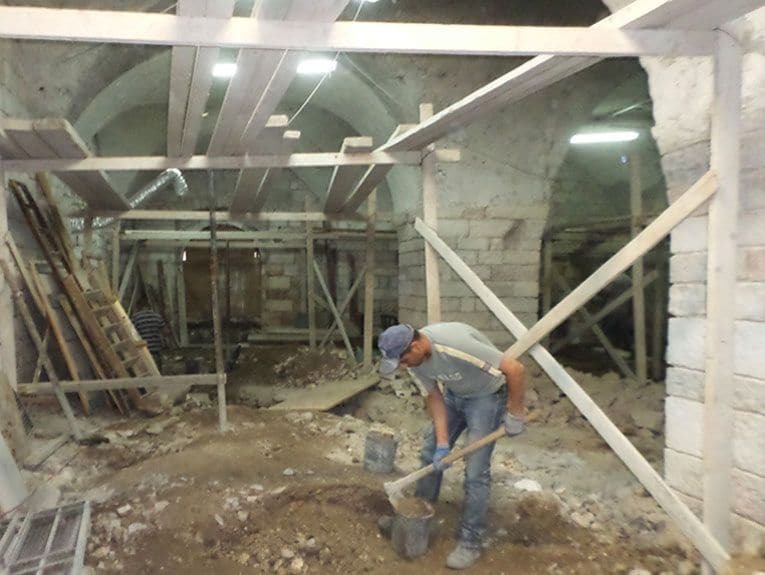 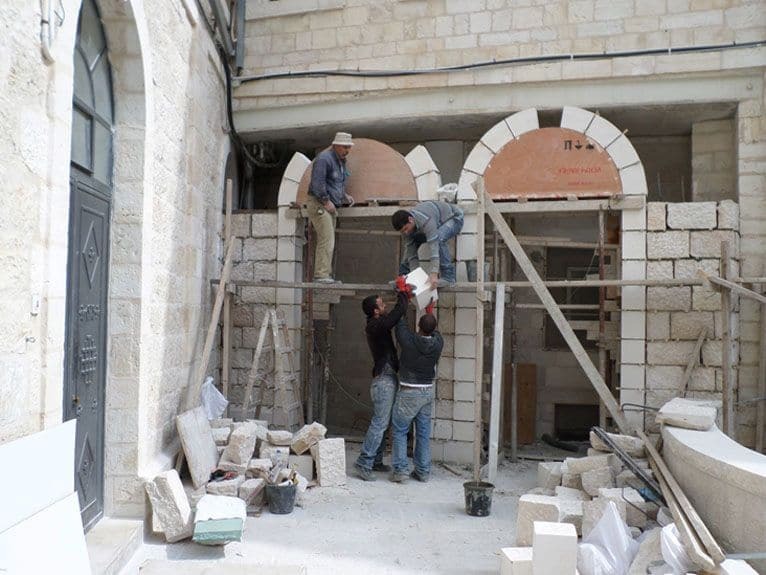 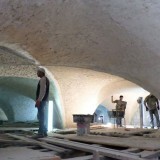 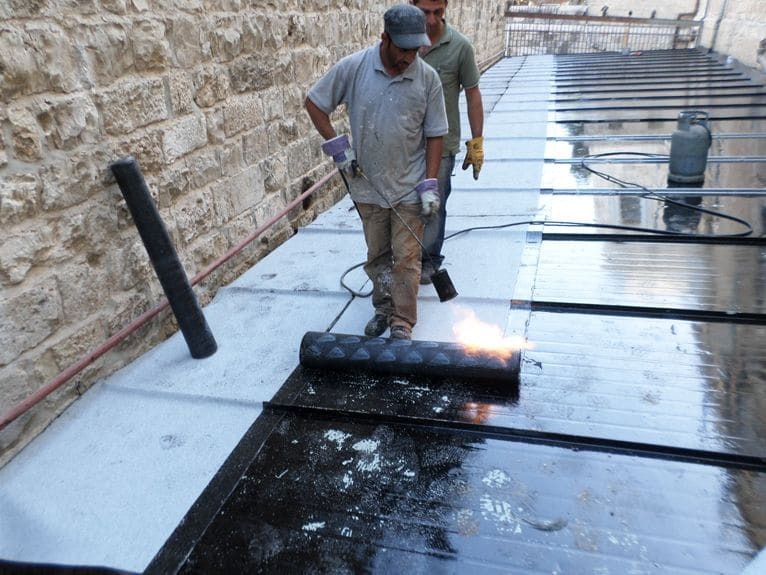 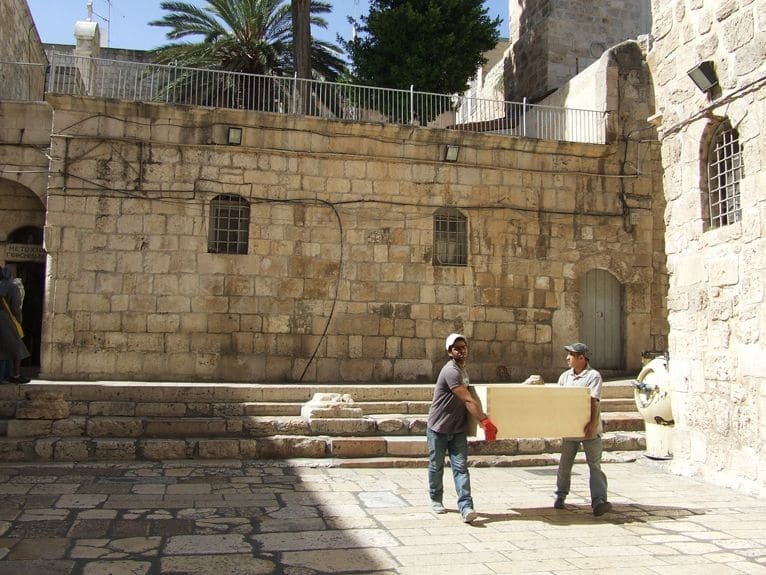 Within the Saint Saviour’s complex in Jerusalem, the main headquarters of the mission of the Custody of the Holy Land, work is ongoing to restore the ancient structures of the Franciscan monastery and to give them a new function. 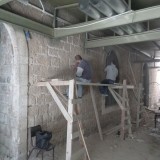 In addition to restoring houses for the Christians of the Holy City, the team of workers is currently engaged in restructuring the area to be used for the new laundry. 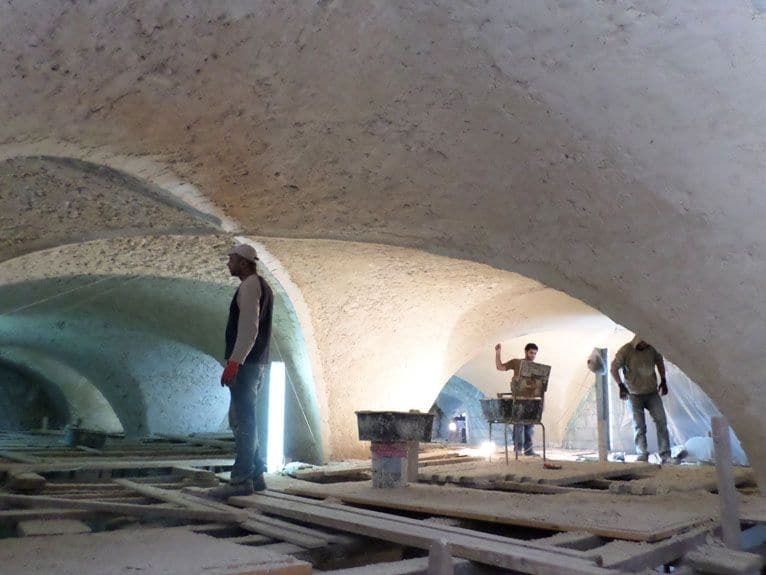 The work has focused on the construction of new facilities, the introduction of new machines and the restoration and re-use of the rooms, under the supervision and ongoing monitoring of the Technical Office. 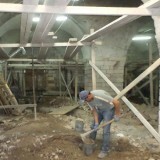 Thanks to the instruction offered by the Franciscan friars, in these same spaces the young Christians have been learning and putting into practice the latest production and artisanal techniques in a wide range of fields. 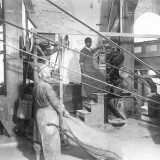 Beginning in 1850 St. Saviour’s Monastery came to have as many as eleven workshops in operation: the printing shop dating from 1846, workshops for carpentry, organ building, shoemaking and for grinding cereals and cooking bread, in addition to those for producing sacred furnishings and for the decoration and maintenance of the monasteries, and finally the workshops for zincographic printing (1938) and electrotyping (1946). 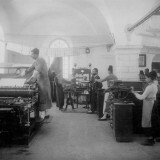 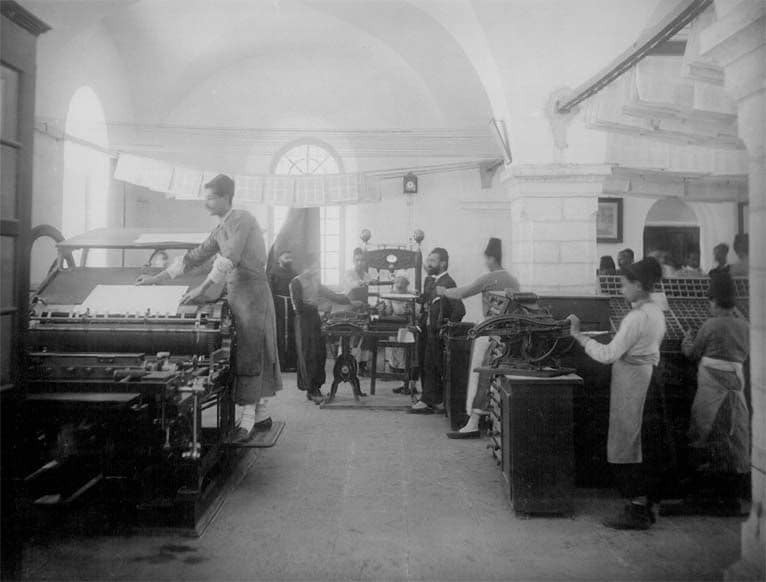 Of these various functions, apart from that of maintaining the monasteries, the only one remaining in operation today is the printing shop, now in a different location. 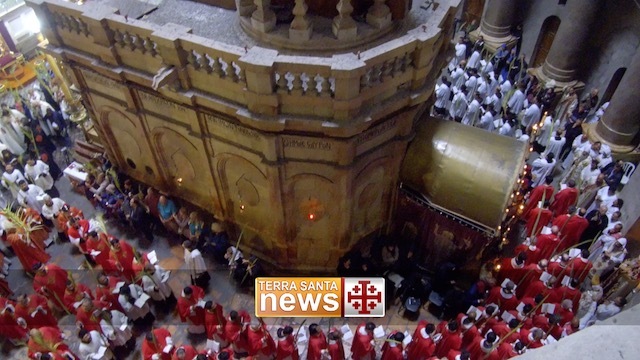 Today as in the past it is necessary to address the social and economic difficulties of the local Christians: to educate them and teach them a trade so that they can become self-sustaining and able to take care of their families. 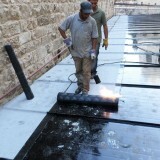 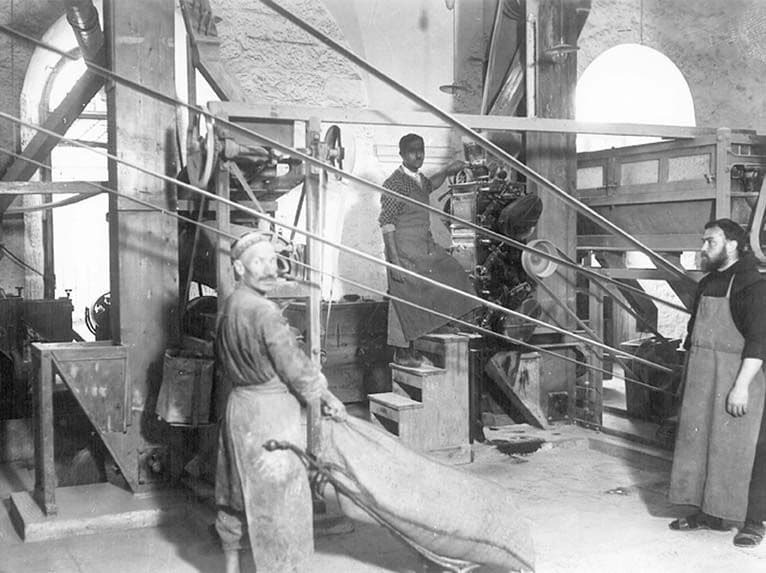 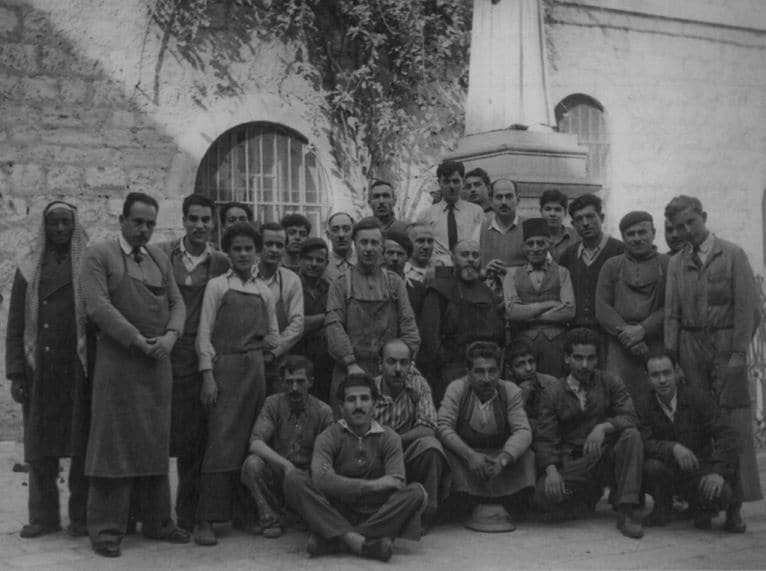 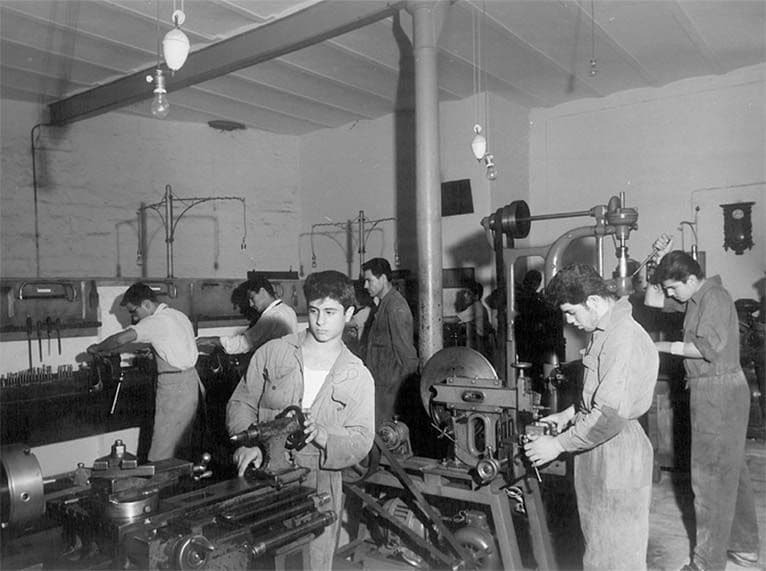 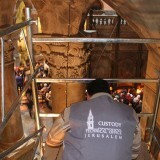 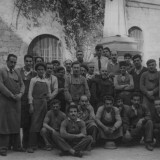 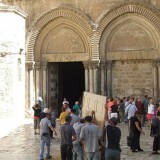 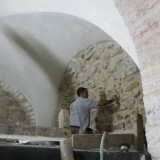 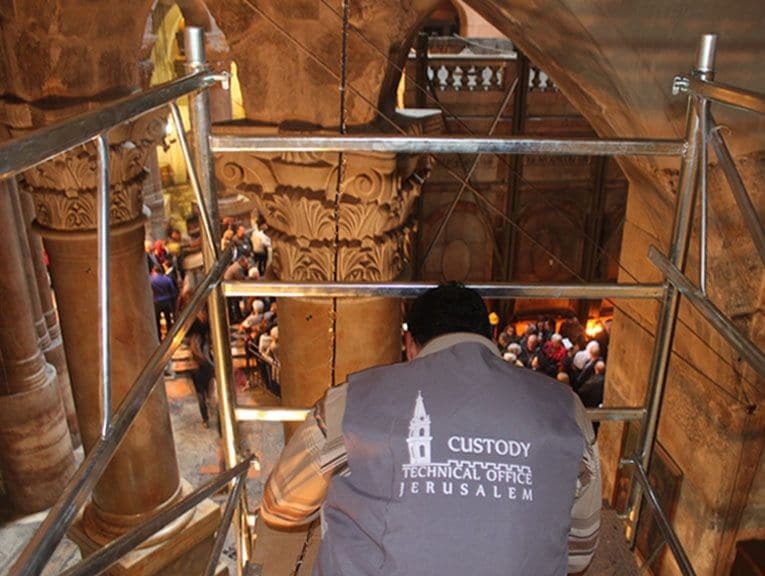 It is thus as a sign of continuity that the Franciscan Custody and Association pro Terra Sancta are promoting the training and hiring of local specialized manpower as part of the project “Jerusalem, Stones of Memory”, with the aim of restoring and preserving buildings in the Holy City of Jerusalem. 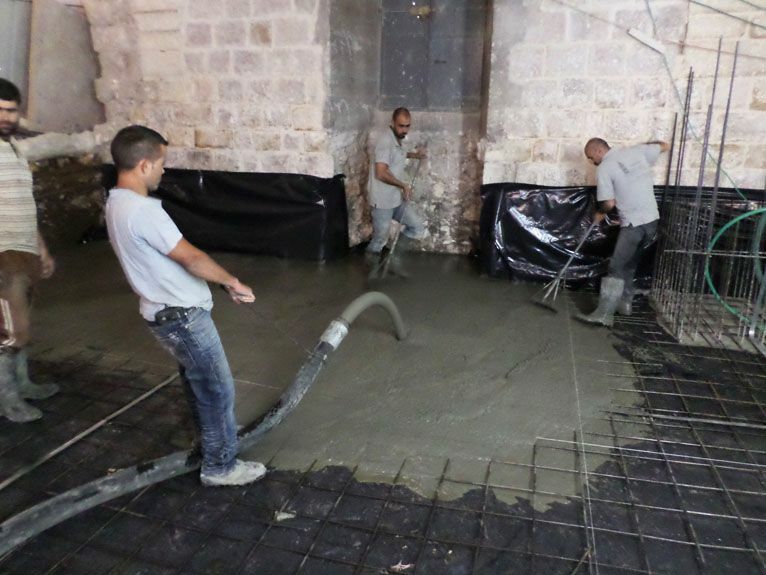 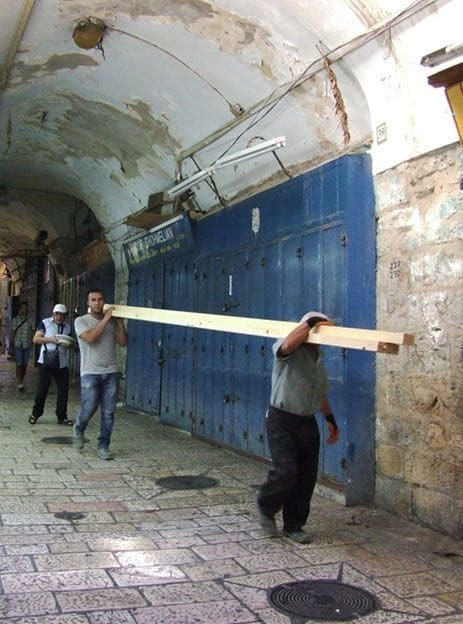 Coming mostly from difficult areas, such as Ramallah and Bethlehem, the workers are involved on a daily basis in major renovation works, as well as in smaller works of ordinary maintenance. 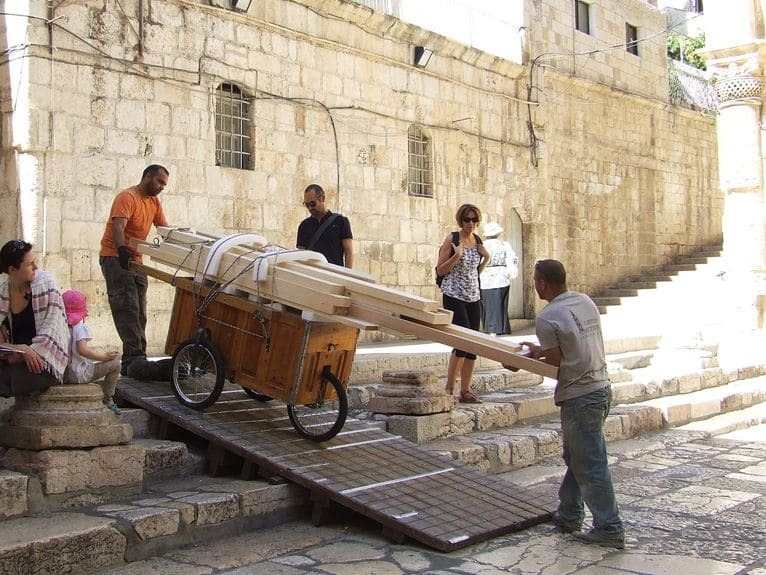 In the past few weeks they have contributed, among other things, to the installation of a new organ inside the Church of the Holy Sepulchre, assisted by the Austrian company Rieger Orgelbau. 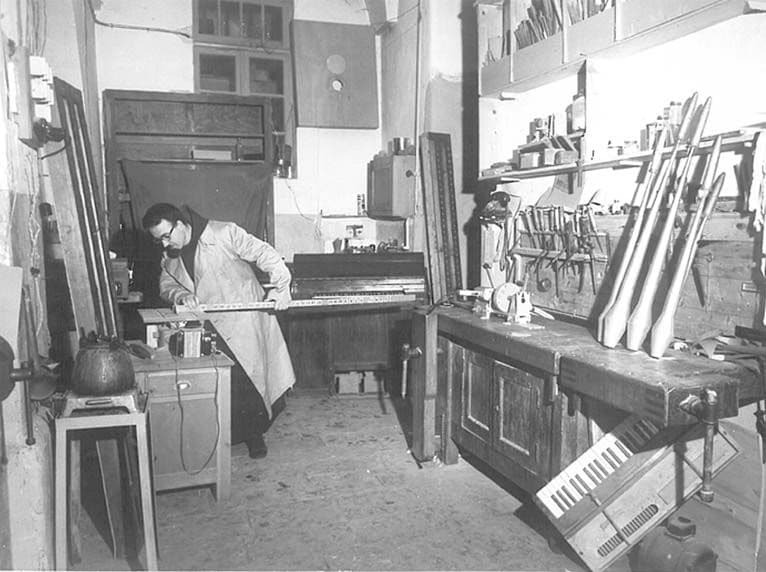 Every part of the instrument, many of these very delicate such as the reeds and the console, were carried by hand from St. Saviour’s Monastery to the interior of the church. 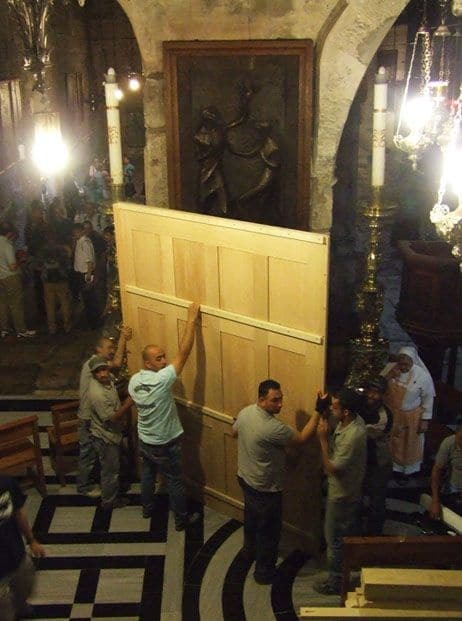 The new organ, replacing the one from the Italian firm Tamburini, was installed on the wall opposite the altar of Mary Magdalene, above the existing choir. 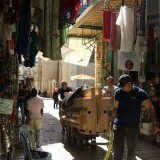 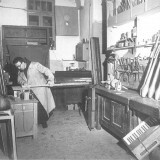 Since the middle of the 17th century, the organ has accompanied the daily processions and liturgies of the Franciscan friars within the Church of the Holy Sepulchre: so deep is their affection for this instrument that, among the workshops that were at one time active in St. Saviour’s Monastery in Jerusalem, there was one focusing exclusively on constructing and maintaining the numerous organs belonging to the different monasteries. 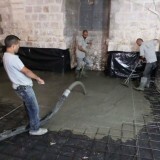 The project not only provides assistance and training to the local population but also enables an effective control over the work carried out, both from an organizational and management point of view. 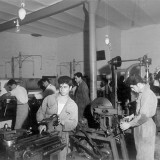 The availability of a supply of conscientious and reliable workers is of fundamental importance for carrying out interventions in such important and delicate areas. 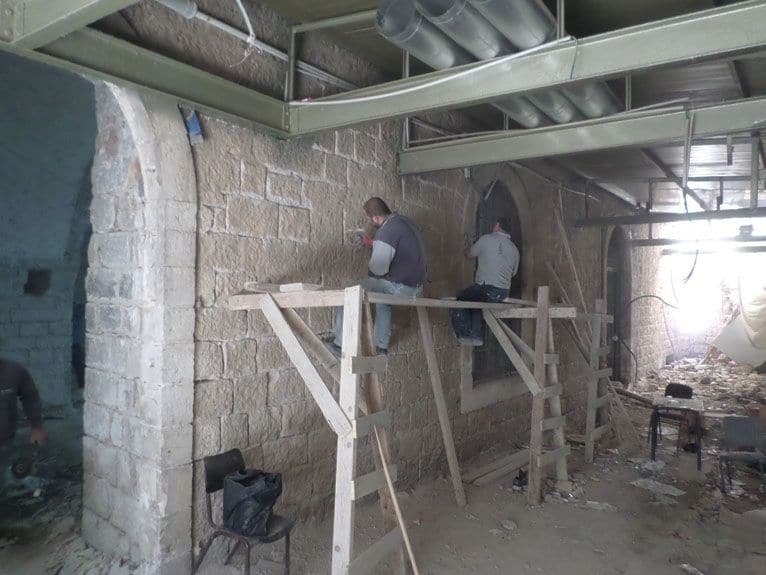 Physical spaces as well as the mission of solidarity of the Custody with respect to the local community are being renewed, acquiring new forms, in the name of continuity, maintaining intact the Franciscan spirit dating from the earliest times.